This past summer Dan Rice, who has a cabin near Breezy Point on the west side of Long Lake, noticed that a couple of the trees on the point were losing some of the bark near the bottom of their trunks. 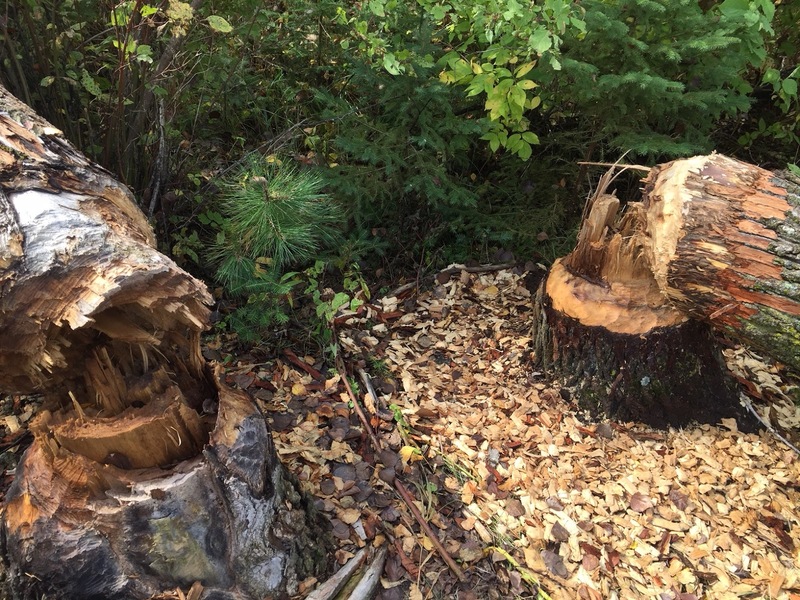 With a closer look, he saw that the bark had been chewed off in a perfect circle to girdle the tree. 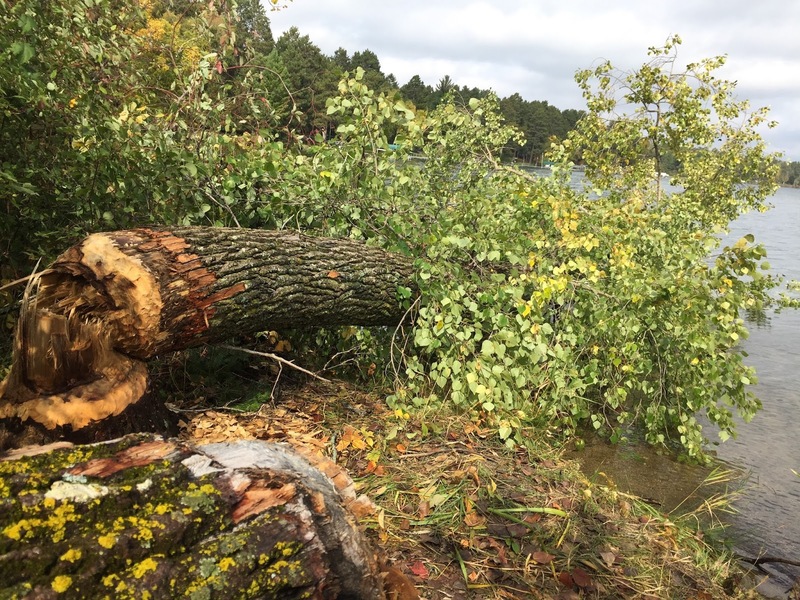 By the end of the summer both trees had fallen into the lake; one to the north and one to the south. 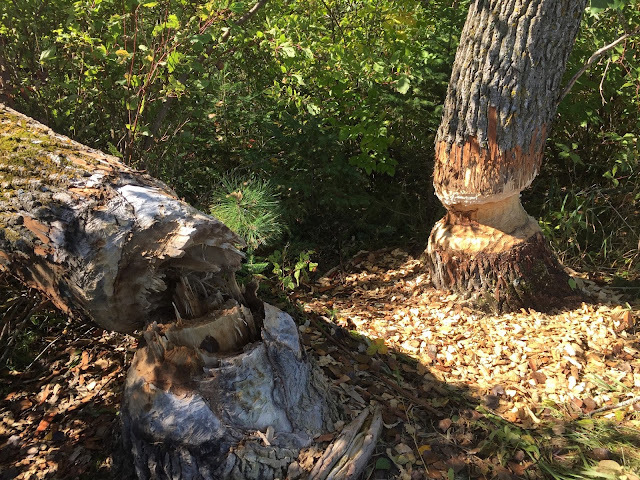 It will be interesting to see if anyone sees the beaver working out on Breezy Point this fall or early next spring. Thank you for the pictures, Dan. Long Lake resident is remembered. Ardis Georgianne Fiskerbeck Christen was born in Superior, WI on February 19, 1938 to K. Victor A. Fiskerbeck and Violet Gulsvig Fiskerbeck. She died in Rochester MN at St. Mary's Hospital on Friday, September 15, 2017, following heart surgery on August 29, 2017. She continued her education at Luther College where she met Dean Christen, her husband of 53 years, graduating with a BA in English and Speech Education in 1959. She received a Master of Science Degree from Mankato State University in Library Technology and taught in the Elkton, Rochester, and Stewartville Public Schools. Dean and Ardis were married on August 16, 1959 and had two daughters, Lisa and Kari. She enjoyed spending her summers on Long Lake in Park Rapids where she loved watching the loons. She always kept an eye on the loon chicks in an effort to protect them from bald eagles. She had an insatiable love of learning and thirst for knowledge and research which she delighted in sharing with everyone. Ardis felt most complete when she was caring for someone else. She was the primary caregiver for her mother and her husband in their last years. She cared about everyone she met and loved to help others. She always put others first. Family and friends were an important part of her life.